In June of 2015, we began delivering digital video service. 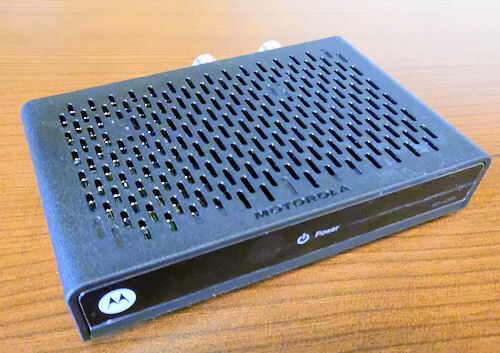 In order to take advantage of all the new channels in High Definition and services, a device capable of decoding a digital signal is needed on each TV set. One such device is a Digital Terminal Adapter or DTA for short. A DTA is about the size of a deck of cards and accomplishes a lot for such a small size. You want to watch all of the channels on the Basic tier of service on a particular television. You subscribe to and want to watch the Expanded Basic or Digital tier of service on a particular television. You subscribe to and want to watch premium movie channels, like HBO, or HD premium channels, like Velocity, on a particular TV. 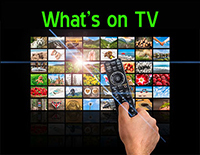 You want to watch programs in High Definition (HD) on an HD capable TV. You do not have an HD set top box or DVR already connected to a TV set. You would like to listen to all of the music channels on that set. You want an interactive program guide on that set. HMU will install DTAs for you. However, they are easy to install. We encourage self installation when possible. DTAs come with easy to follow instructions and you can watch an installation video. If you have ever added a game deck, DVD player, or cable TV set top box to your TV, you can probably install a DTA in minutes. Click this sentence to watch the How to Video to connect your new DTA!